Introducing the new 2019 Indian Motorcycle Guide. Welcome to the Scout family. It follows the same design principles that made the original Scout of the 1920s so iconic, but it’s packed with 21st century features including a modern, liquid-cooled V-Twin engine. This is where it started for us. Are you ready to start your legend? Build your legacy mile after mile with smooth-riding Cruisers that deliver powerful performance, innovative technology, and authentic Indian Motorcycle styling. Legends aren’t given. They’re earned. Earn yours on the Indian Motorcycle Bagger that speaks to your style. When you pair the unmatched performance of the award-winning Thunder Stroke 111 V-Twin engine with best-in-class handling, you can’t go wrong. Looking for the ultimate ride? Meet the Roadmaster family. 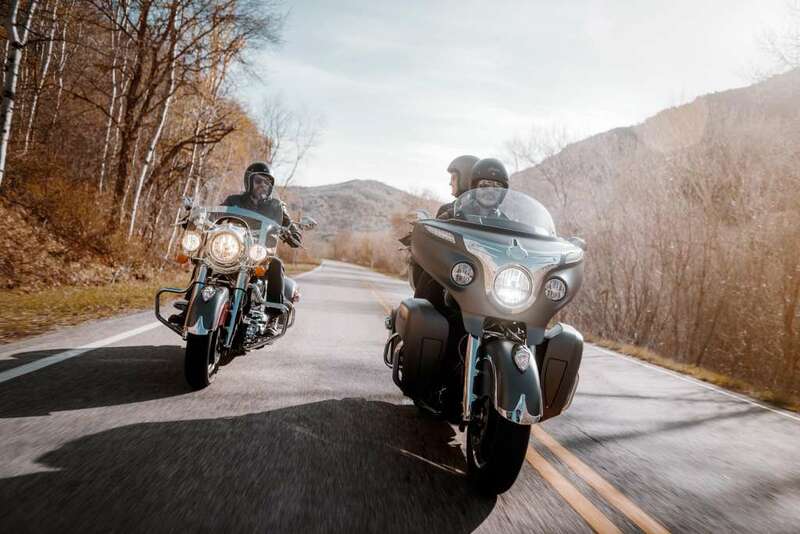 Powered by the award-winning Thunder Stroke 111 V-Twin engine and loaded with premium features, it’s a touring machine with the craftsmanship and comfort for riders who demand the best of the best. 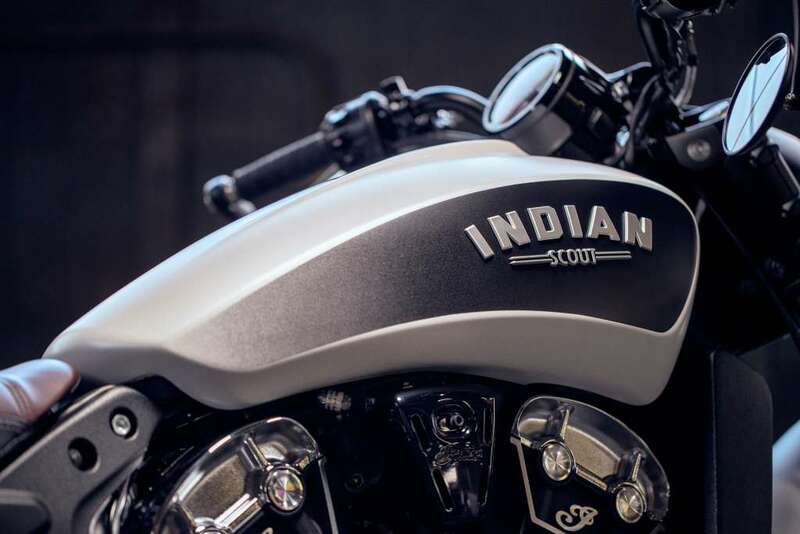 MINNEAPOLIS (August 27, 2018) – Indian Motorcycle, America’s first motorcycle company founded in 1901, today announced its 2019 Scout lineup with new paint options on Scout Sixty, Scout and Scout Bobber. Key feature upgrades for 2019 include an expanded ABS offering and a new USB charging port on Scout and Scout Bobber models. New for 2019, an ABS (anti-lock braking system) is now standard on every non-black Scout Sixty, Scout and Scout Bobber model. For the Thunder Black color option, riders can choose between a model that’s equipped or unequipped with ABS. The Scout and Scout Bobber will also receive a USB charging port in 2019, a convenient feature that allows riders to charge a personal device while riding. The charging port is located near the speedometer for easy access. Color options for the Scout Sixty, which packs a 60-cubic-inch, liquid-cooled and blacked-out engine, include Thunder Black, White Smoke, Ruby Metallic and Star Silver over Thunder Black. The iconic Indian Scout, which packs a 69-cubic-inch, liquid-cooled engine that puts out 100 horsepower, is offered in Thunder Black, Deep Water Metallic, Metallic Jade, Indian Motorcycle Red over Thunder Black and Willow Green over Ivory Cream. Rounding out the lineup is the aggressively-styled Scout Bobber, now offered in Thunder Black, Thunder Black Smoke, White Smoke and Bronze Smoke. For current Scout owners looking to add the benefits of the USB charging port, Indian Motorcycle will now offer a USB Charging Port Kit, which can be installed on any 2015-2018 Scout or Scout Bobber model and any 2016-2019 Scout Sixty model. Indian Motorcycle offers a full line of Scout touring accessories, including bags, passenger seats, and windscreens and a full line of Scout performance accessories, including shocks by Fox®, Stage 1 Slip-On Exhaust, and Air Intake. With Indian Motorcycle Accessories, a rider can customize their Scout with reduced and extended reach seats, handlebars and foot controls to achieve the perfect fit. Pricing for the 2019 Scout Sixty starts at $8,999 in the U.S. and $10,999 in Canada, while the Scout starts at $11,499 in the U.S. and $14,499 in Canada. The Scout Bobber starts at $11,999 in the U.S. and $14,999 in Canada. If you liked the 1st batch of 2019 Indian Motorcycles, then you will LOVE the new models I put up today with the 2nd release of 2019 Indian Motorcycles... the heavy weights!